Jose (Joey) Ortiz, Jr. was appointed Executive Director of the New York City Employment and Training Coalition in February 2018. 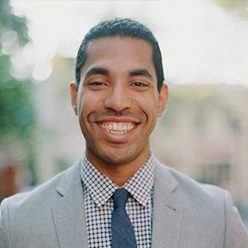 An accomplished New York City nonprofit leader, Joey has spent his career building and overseeing programs and initiatives at premier social sector organizations across education, leadership, innovation and workforce development. Immediately prior to joining NYCETC, Joey served as the Managing Director of External Affairs, Partnerships, and Business Development at Pursuit (formerly Coalition for Queens or C4Q), a Long Island City based workforce nonprofit that prepares underserved and underprivileged individuals without college degrees for software development jobs at some of the world’s most innovative companies. In this capacity, Joey led the development of partnerships with government, nonprofit and employer partners, along with fundraising and resource development. Prior to Pursuit, Joey spent more than a decade leading youth & family programs, leadership initiatives, and conferences at the 92nd Street Y (92Y), a world-class cultural and community center. While at 92Y, Joey was a founding member of the Belfer Center for Innovation and Social Impact which co-produced the annual Social Good Summit and 7 Days of Genius, and created the global day of philanthropy called Giving Tuesday. Joey has been covered by The Wall Street Journal, The New York Times, City & State, the Gotham Gazette, NY1’s “Inside City Hall” with Errol Louis, and MSNBC’s Morning Joe. Joey currently sits on The Fund for Public Housing Advisory Council, The NYC Workforce Field Building Hub Advisory Board, and the Western Queen Tech Council. Joey also served on the Amazon HQ2 Community Advisory Council (CAC).